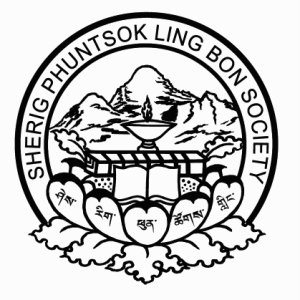 The Sherig Phuntsok Ling Bon Society is a non-governmental organization registered in India in the region of West Bengal on 4 January 2007. The Sherig Phuntsok Ling Bon Society provides support mainly to local Himalayan communities of the Bonpo tradition in order to preserve their cultural heritage and traditional knowledge which is at particular risk, while creating the necessary avenues for their economic and social integration. The Enlightened Vision Association (EVA) is a non-profit association that was created on 29 March 2011, in Geneva, Switzerland. The goals of EVA are underscored by the belief to protect marginalised groups from threats to their economic and social way of life. By engaging in comprehensive capacity building projects Eva aims to develop the abilities of these displaced minorities and indigenous groups so that they can better integrate into the society to which they belong while enabling their political and social empowerment. The Yungdrung Bön Foundation was founded in 2000 in Germany and aims at the preservation of ancient Tibetan culture through promoting educational projects and the preservation of cultural and historical Tibetan heritage. Architecture & Développement is a non-profit association which aims to strengthen the skills of architects as actors of development, affirming their role in social and civic assistance to the vulnerable and poor, in the North and South. A & D contributes to the creation of a network of skills and expertise in several areas, issues related to architecture and appropriate technologies, urban and rural development, post-emergency situations, and cultural heritage. With a cross-cultural approach and a multidisciplinary team, A & D campaigns for decent housing for all through the organization of events and training, raising public awareness, North/South and South/South exchanges, and sustainable housing projects. L’ASSOCIATION AOM is a non-profit and non-denominational association of public service that seeks to create new social and environmental realities through the development of Social Businesses and Social Projects. AOM YOGA is L’ASSOCIATION AOM’s first ‘Social Business’. It is a Geneva based community yoga center with two spaces in the heart of Geneva.